3. 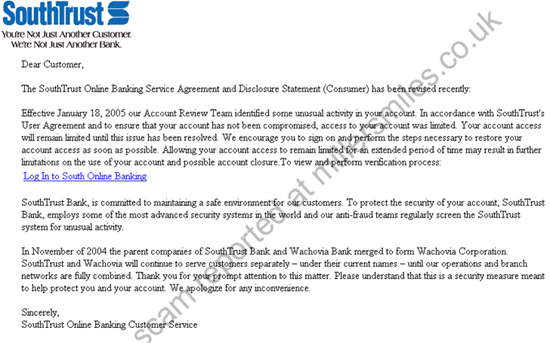 URL of spoof website disguised as "Log In to South Online Banking ". 5. Spoof website not online at time of report but likely to closely resemble the real Southtrust website.
" The SouthTrust Online Banking Service Agreement and Disclosure Statement (Consumer) has been revised recently: "